Four different rigs may be chosen according to your specific needs, from the very simple lug sail to the well-canvassed gaff cutter (see drawings). 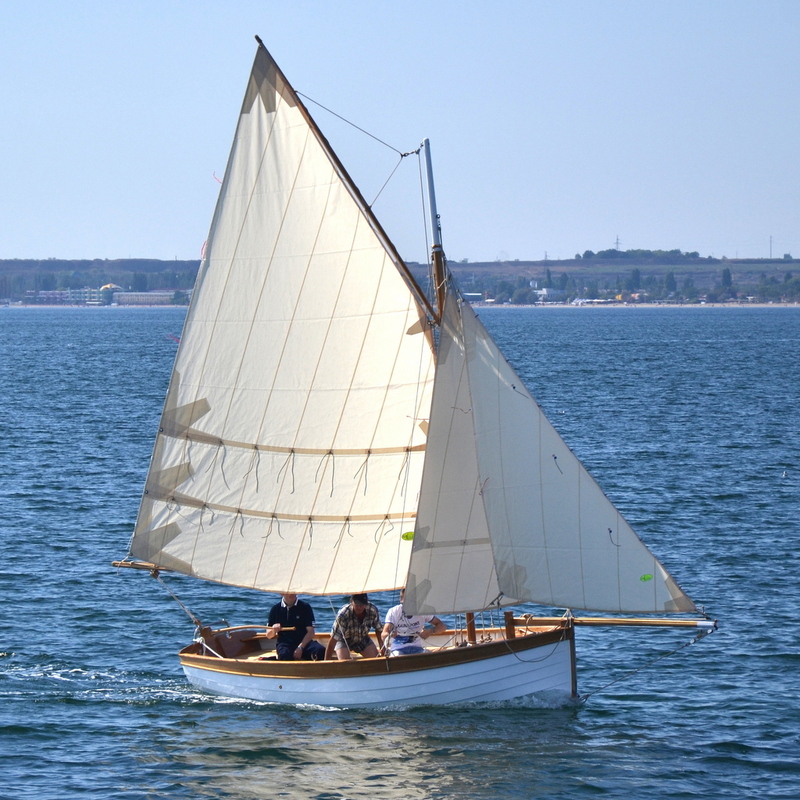 It is also possible to choose a lug yawl rig or a “flambart” rig. Ask the designer. Ebihen 16 is fitted with a metal centreboard and a water ballast (180 litres) that allows excellent stability and good windward ability. Ebihen 16 plans are also available for a traditional carvel construction. Ask the designer. Be the first to review “Ebihen 16 clinker” Click here to cancel reply.